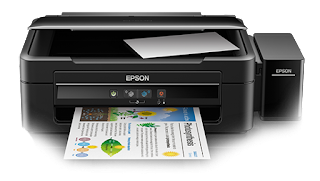 Epson L380 driver is an application to control Epson L380 inkjet color tank system printer scan copy 3 in one. The driver work on Windows 10, Windows 8.1, Windows 8, Windows 7, Windows Vista, Windows XP. Also on Mac OS X 10.14 (MacOS Mojave), MacOS High Sierra, MacOS Sierra, El Capitan, Yosemite, Mavericks, Mountain Lion, Lion, Snow Leopard, Leopard and Linux deb or rpm. You need to install a driver to use on computer or mobiles. For more information about this driver you can read more from Epson official website. At the execution of this wizard, you have to connect USB cable between Epson L380 printer and your computer. So wait for that and connect only when it asks you to connect. It will detect the Epson L380 printer and go ahead to next step if all goes well. Description: This file obtains and installs everything you need to use your Epson L380 wirelessly or wired. Description: Typing L380 at search button and click enter. 6 Responses to "Epson L380 Driver Download Windows, Mac, Linux"
Thank for comment and visit our site. Please come again if need another Epson driver. I got Epson L380 printer. I have MacBook with HighSierra on 10.13.3 version. I am not able to install your device as drivers available are for older version. please advice me on how to install your device on my MacBook. Thanks for visit and contact us. We was update the last driver. Epson L380 driver for Linux please open: http://download.ebz.epson.net/dsc/search/01/search/?OSC=LX and typing L380 at search button and click enter.